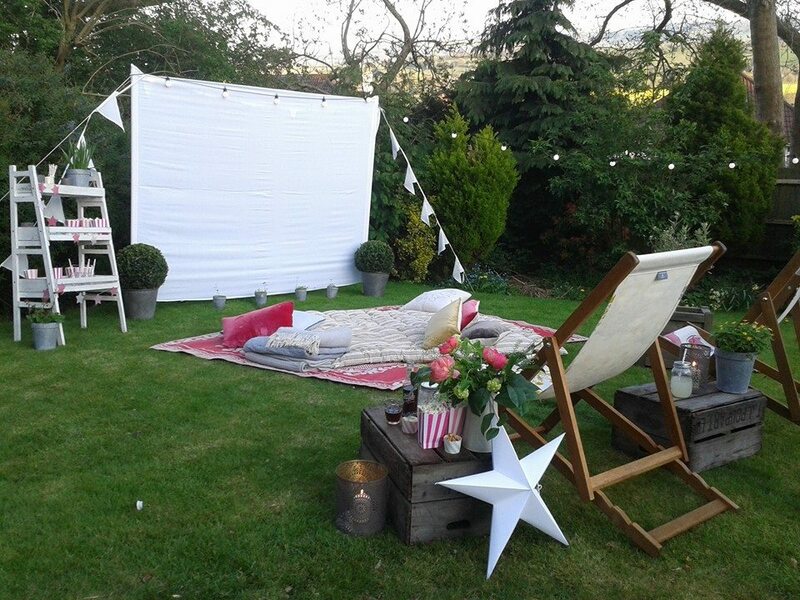 So you’re thinking of throwing a summer party in your garden and want to do something different. 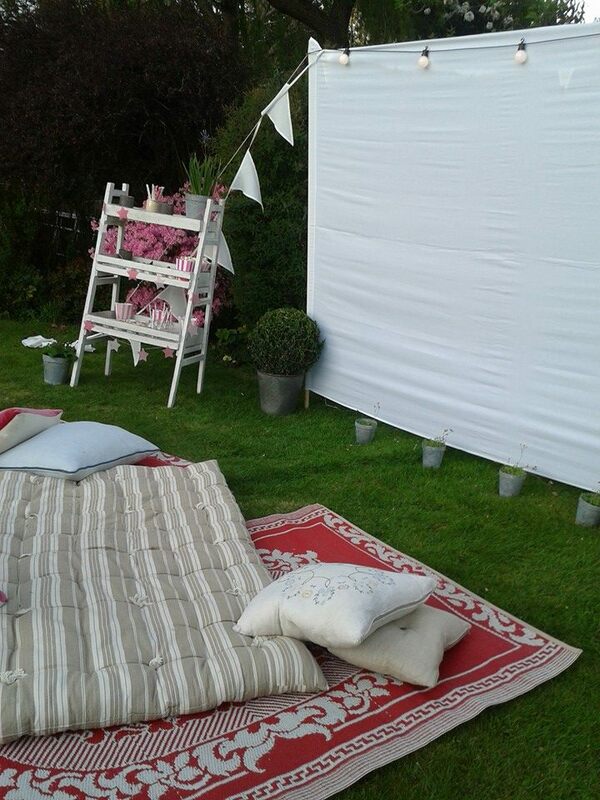 Why not bring your garden to life with an Outdoor Cinema night? 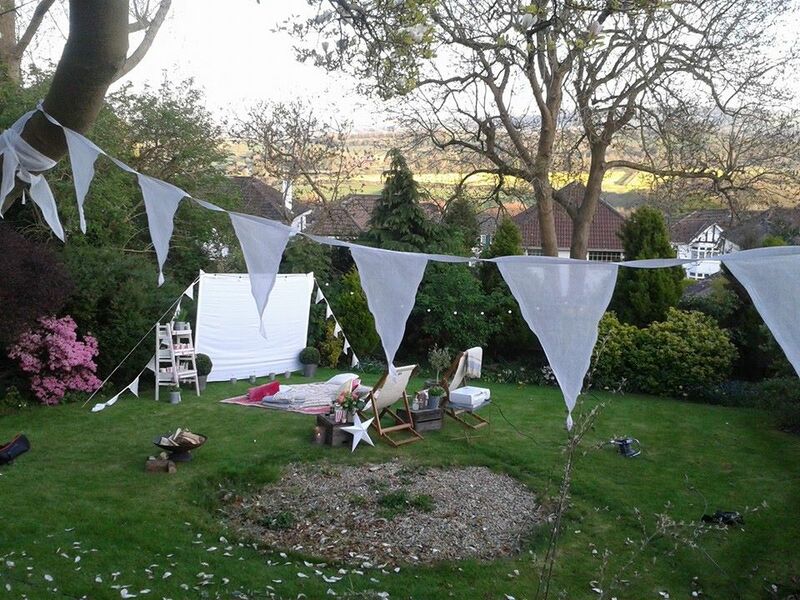 It will be a party never to be forgotten and you’ll be the envy of all your friends. 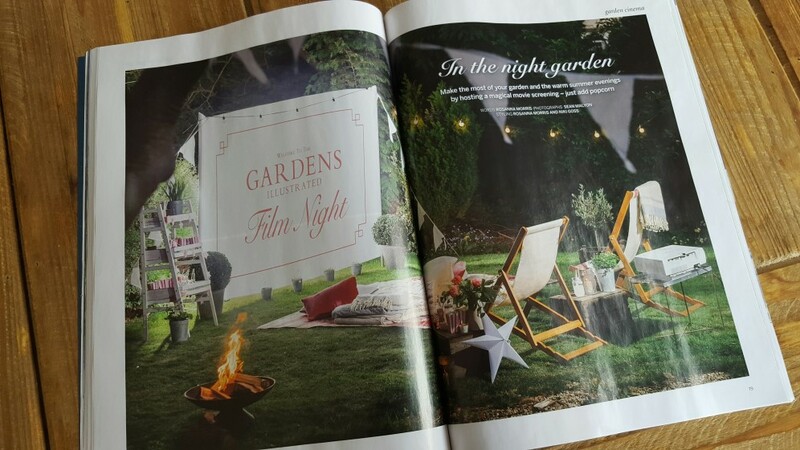 Gardens Illustrated Magazine recently approached me to assist them with the ins and outs of hosting a Garden Cinema Party. 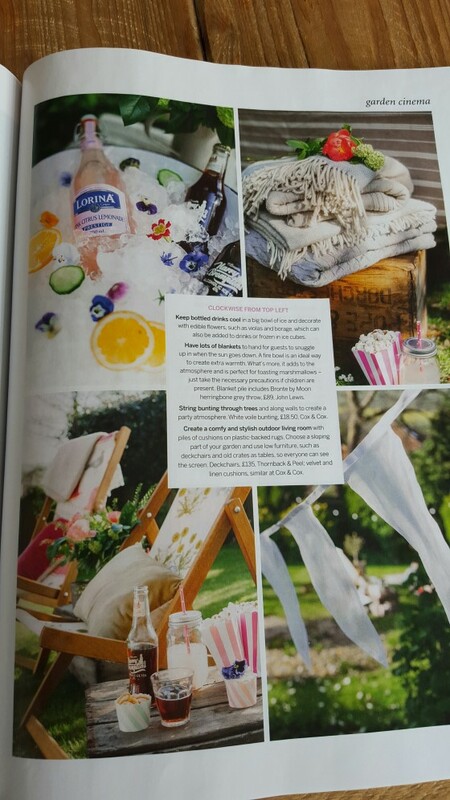 They had seen pics from a previous party we had hosted in our garden and wanted to run a similar summer feature in their magazine. 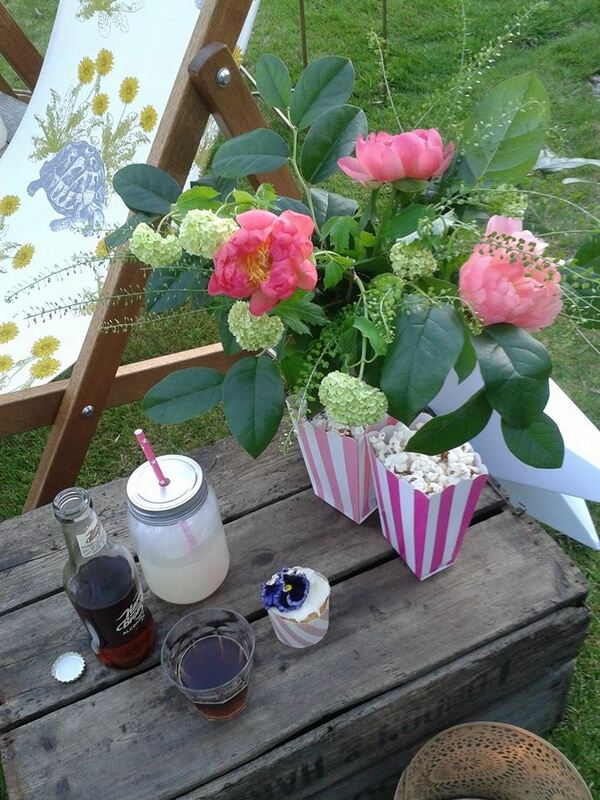 I helped them brainstorm some ideas on styling, equipment and snacks as well as arranged the flowers for their shoot. 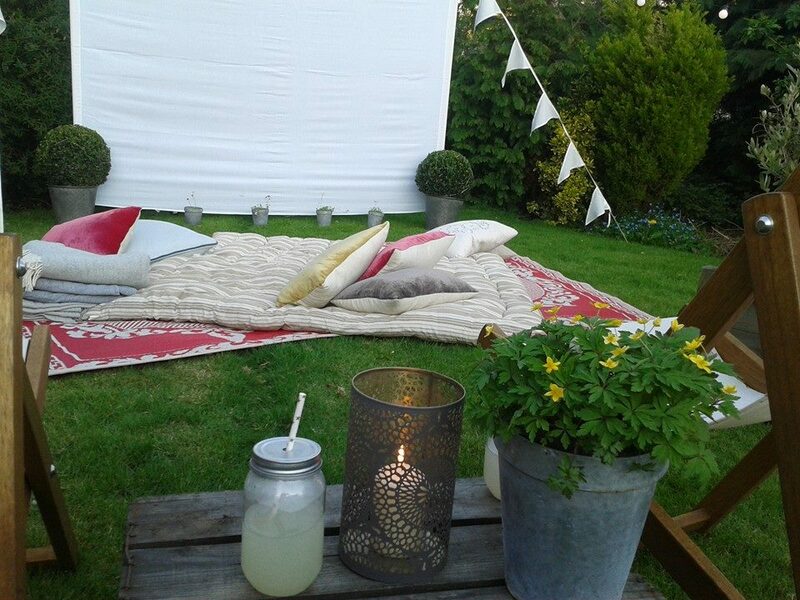 Here are a few key things you’ll need to bear in mind when creating your own Outdoor Cinema Night. 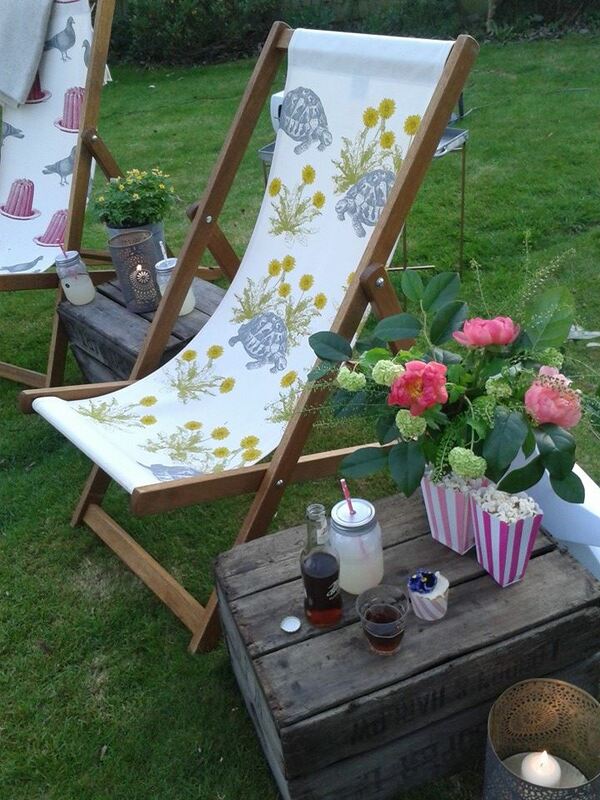 – Use a clean white sheet wrapped around a wooden frame as the screen. 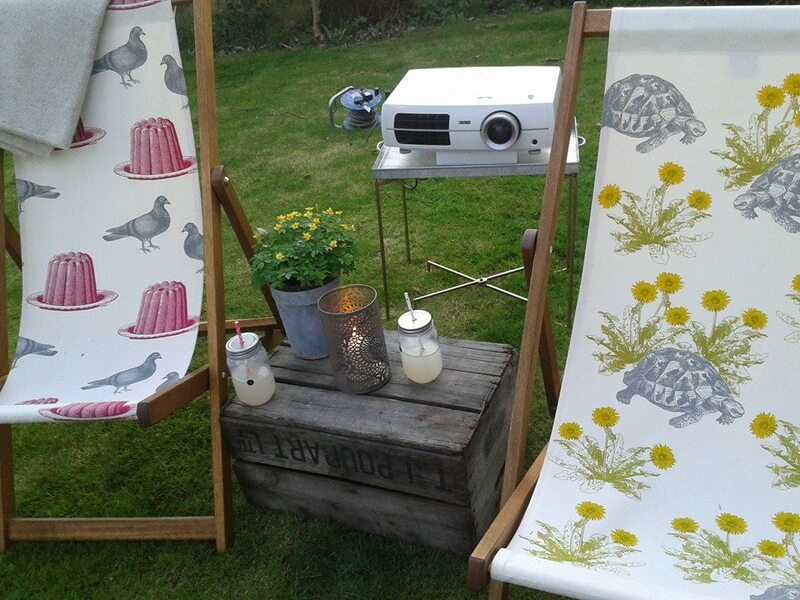 – Borrow a projector from a colleague a work or a friend. 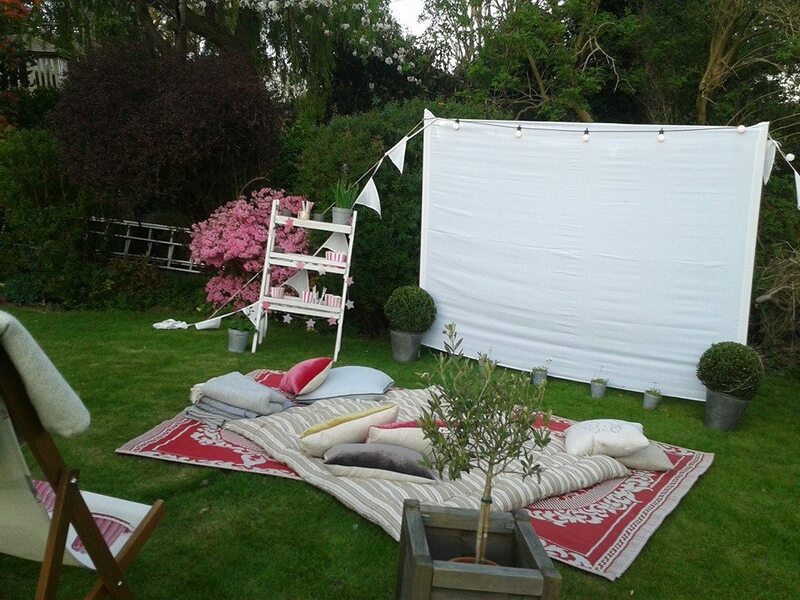 – Select your choice of film carefully, it can make or break your night. We toyed with the idea of playing a silent black and white Charlie Chaplin film or a classic Audrey Hepburn film, but in the end we decided we wanted something with a good soundtrack so we settled for Moulin Rouge. Other films in the running were the original Italian Job, Pulp Fiction, Back to the Future and the list goes on. Whatever you choose it should either have a great soundtrack or some brilliant special effects. 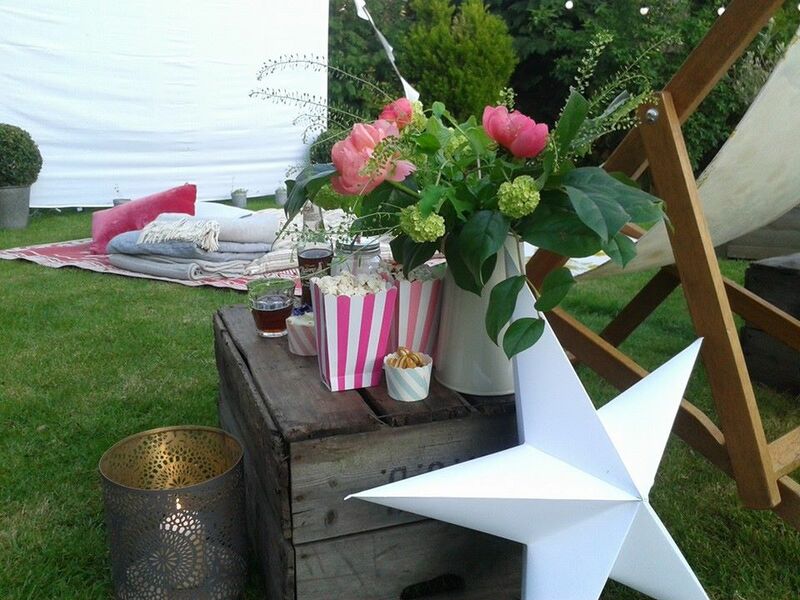 – Snacks are always welcome, popcorn and drinks with marshmallows and a candy floss machine. 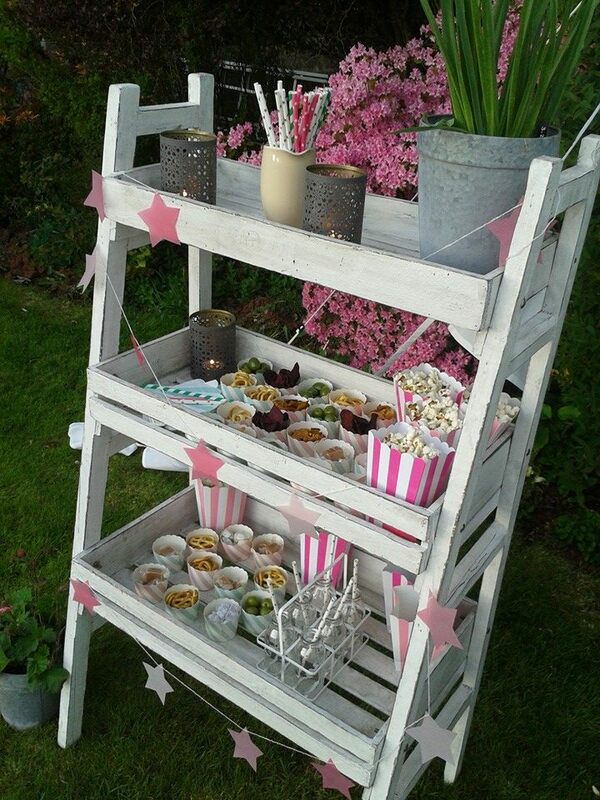 Candy floss machines are very inexpensive and will add that unique touch to your party. – Blankets and pillows make it comfortable and cosy. – Remind your guests to bring something warm. 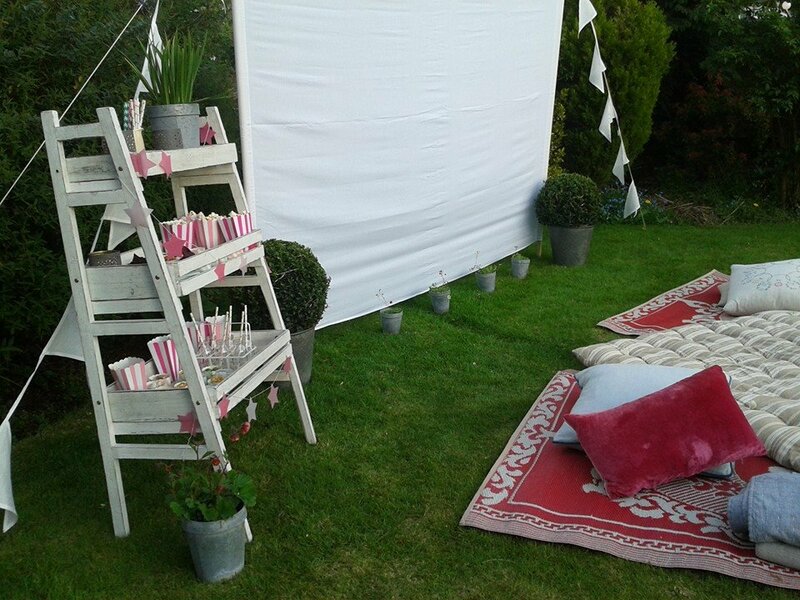 – I Always love to have a vase of flowers and a cake or some sort of sweets table as a party is not a party without cake and flowers!